CONFUSED ON HOW TO BEGIN? NOT SURE IF YOU'RE ON THE RIGHT TRACK? EPISODE RECAPS ALLOW YOU TO MAKE SENSE OF CURRENT PACKAGES IN ORDER TO BE MORE PREPARED FOR YOUR FUTURE PACKAGES. 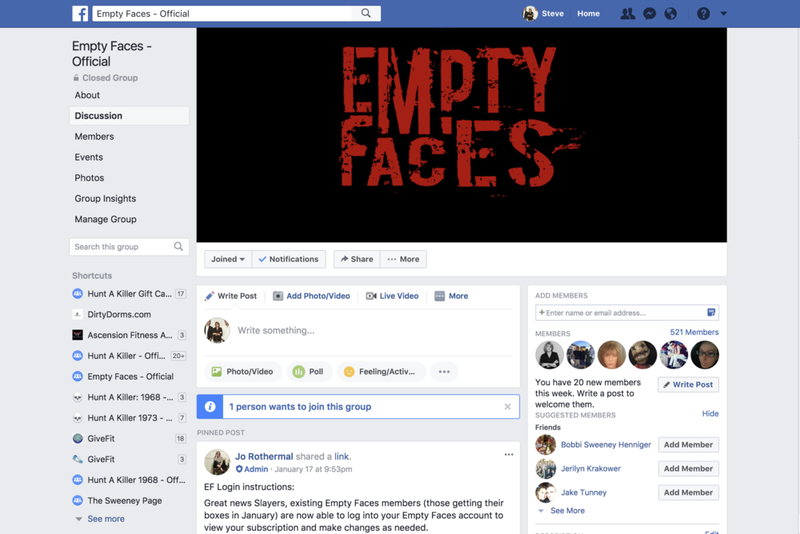 JOIN A COMMUNITY OF FELLOW HORROR ENTHUSIASTS WHO INTERACT WITH OTHER EF MEMBERS ON A DAILY BASIS TO DISCUSS THEIR MYSTERIES, TALK ABOUT HORROR NEWS, AND MEET LIKE-MINDED PEOPLE. ASK QUESTIONS ABOUT YOUR MYSTERY, DISCUSS DIFFERENT THEORIES, AND LEVERAGE THE COMMUNITY TO FIGHT THE EVIL.